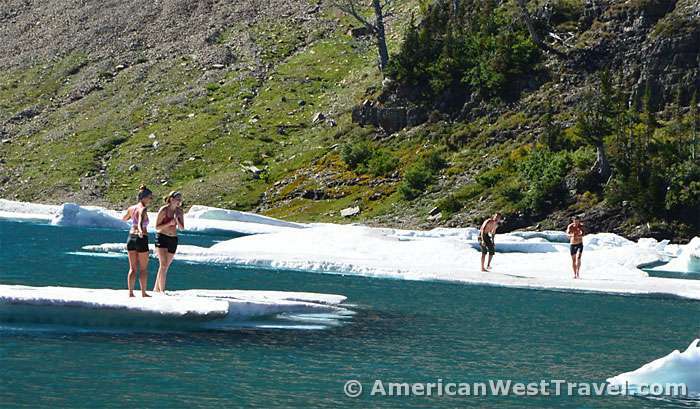 Co-eds Brave the Frigid Waters of Iceberg Lake! 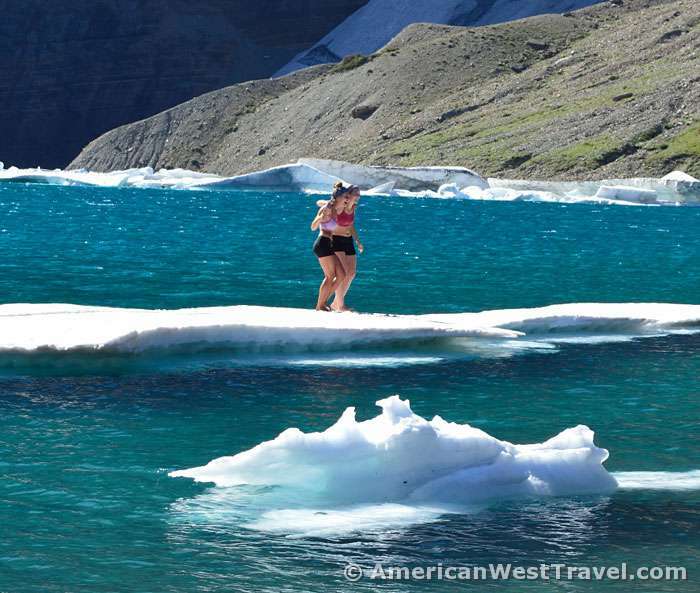 Frigid and aptly-name Iceberg Lake is one of the most iconic and spectacular sights (one of many) of Montana’s Glacier National Park which is often called the Crown Jewel of the Continent. 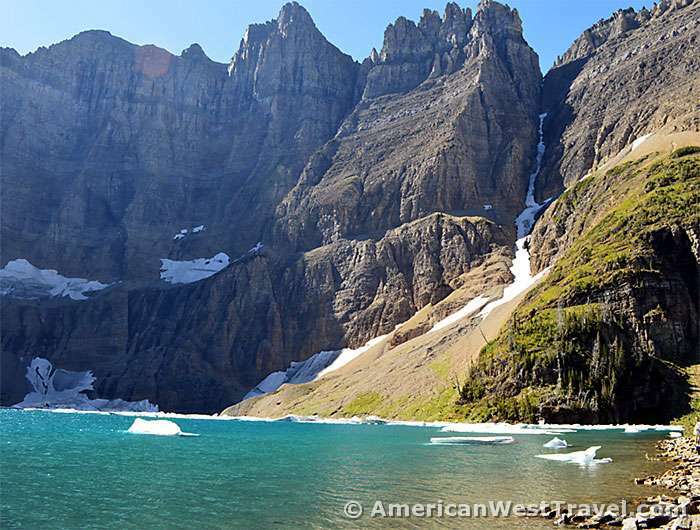 The lake is in a cirque, surrounded on three sides by the sheer rock walls of the Continental Divide (called the Garden Wall in Glacier National Park) which tower thousands of feet above. The north-facing lake gets limited sunlight during the year and is frigid. It is chilly standing next to the lake. 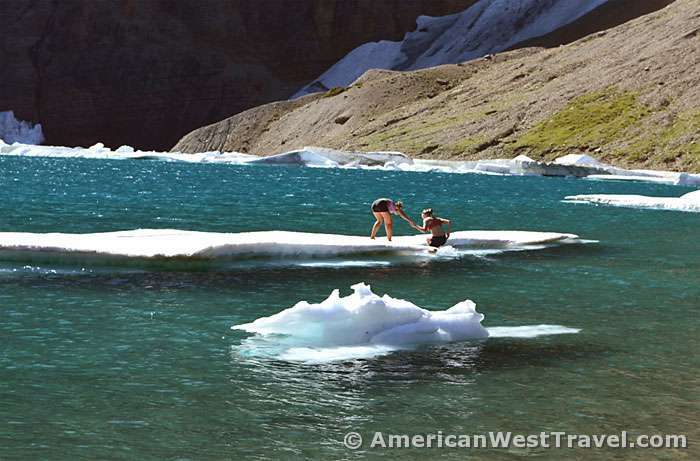 Slabs of ice and snow fall off the walls into the lake during the warmer months and become slow melting icebergs. Hence the lake’s name. 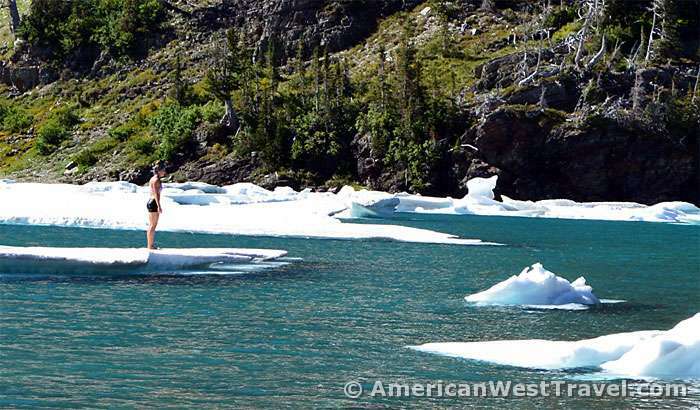 Vacationing co-eds Claire and Taylor, both attending Montana State University in Bozeman, Montana, created a special moment for themselves and all who witnessed their feat by jumping into the lake and swimming to the nearest iceberg. Check out the sequence below. Below, a larger view of Iceberg Lake. Iceberg Peak, dead center in the photo, towers more than 3,000 feet above the lake! 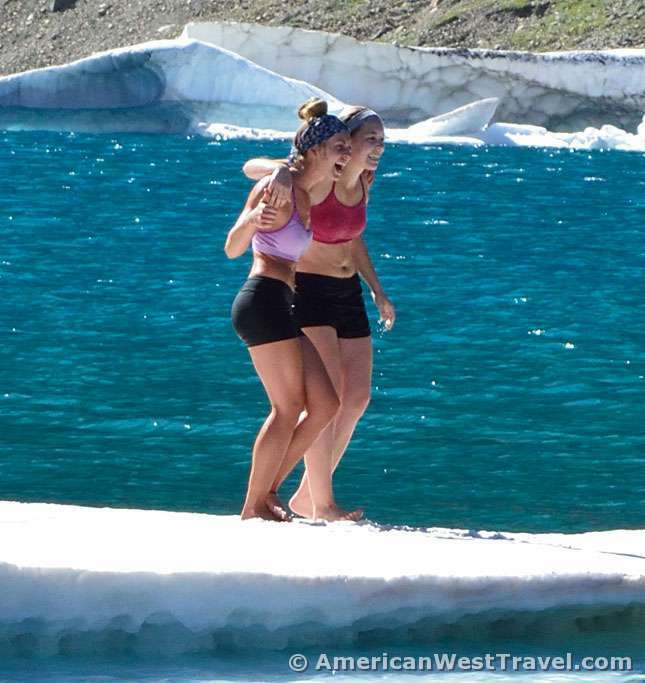 Below, one of the girls makes it to the iceberg and encourages her friend to join her. Below, the second girl screws up her courage and goes for it. Below, she helps her friend onto the iceberg. 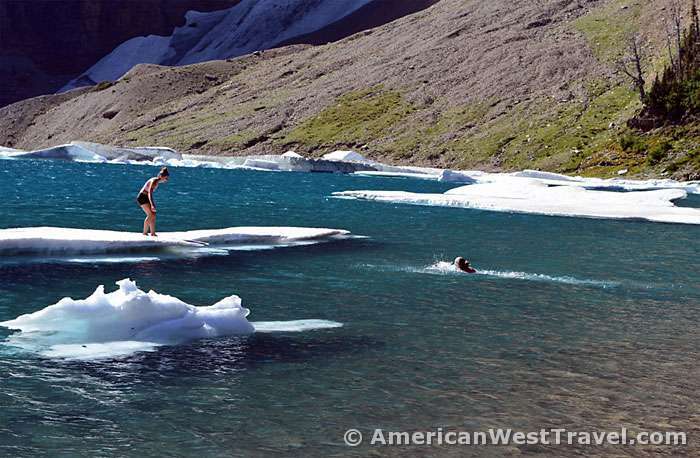 By the way, they both probably set speed records for their frigid swims. Below, the girls most justifiably enjoy their moment of triumph. Below, a couple of guys try in vain to horn in on the girls’ action.